Well Well.. I am lazy (or maybe always into a lot of things; Round-Robin is still in fashion huh!?) but I do remember. So I am back and have two Public Repositories in my name (created today). 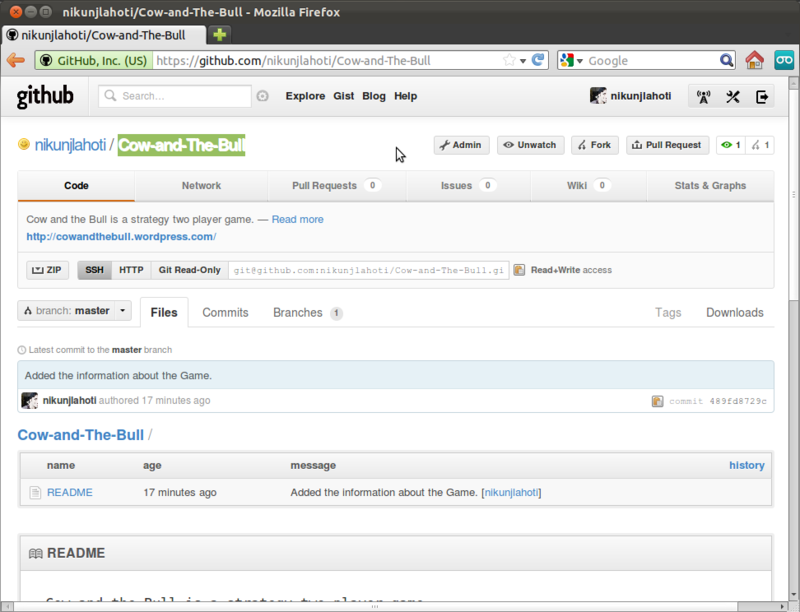 Check out: GitHub and Cow-and-The-Bull. As soon as I am done with the Monkey Business, I will come back!